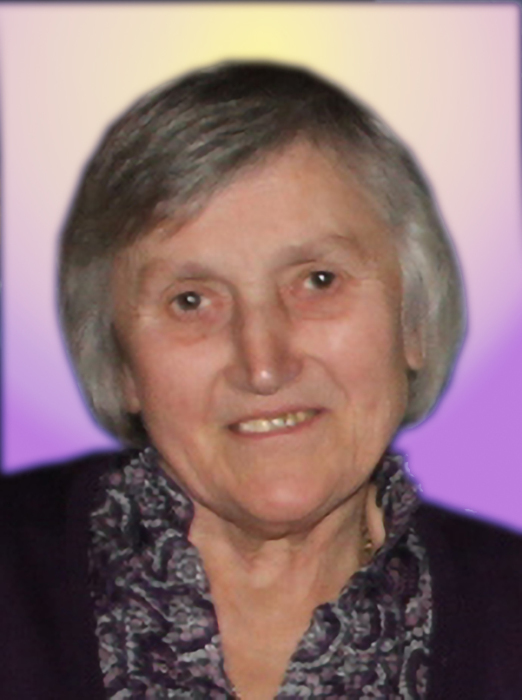 Janina Ewa (Dynak) Slonka, 78, passed away peacefully on Sunday, August 12, 2018, with her family by her side. Janina was born as the eldest child on June 7, 1940, to Franciszek and Maria (Laczynski) Dynak in Cwikow, Poland, where she spent her formative years. She is survived by her loving siblings and their spouses: Marion (Anna) Dynak, Adam (Emilia) Dynak, Anna Watracz, Halina (Janusz) Pliwko, and Marek (Zofia) Dynak. She is predeceased by her brother Kazimierz Dynak and several siblings who died in their youth. Janina married the love of her life, Stanislaw Slonka, in Poland January of 1963; they were happily married for 52 years until his passing in 2015. They emigrated to the U.S. in 1966 with their two sons in hopes for a better life for their children, which they achieved; they raised six children in Indian Orchard and Ludlow, MA, working tirelessly to provide them every opportunity. In their retirement, they traveled to holy sites in Poland, Jerusalem, Rome, Mexico, Portugal, and Yugoslavia and vacation destinations across the U.S.
Janina and Stanislaw enjoyed their farm (“Little Poland” in Ludlow) where they raised flourishing organic gardens and fruit trees, with cows, goats, and chickens. She was happy in her garden, but most of all, tending to her chickens; visitors could never leave without at least a dozen fresh eggs. Janina enjoyed to feed others and was known for her delicious pierogi, golumpki, chicken soup, kapusta and other Polish delights. Janina leaves behind her devoted children, and their spouses, and eight grandchildren who miss her immensely: John Slonka (daughter Stephanie and Zach Roy of Templeton, MA) of Belchertown, MA, Mark Slonka (wife Gwen, Dylan and Isabella) of Westfield, MA, Mary (husband Christopher) Rarogiewicz of Springfield, MA, Stanley Slonka (wife Shirlanne, Alexander) of Carol Stream, IL, Thomas Slonka (wife Mindy, Jesse, Abigail, and Adam) of Belchertown, MA, and Peter Slonka (wife Stephanie and Josie) of St. Louis, MO. Janina is also remembered by many nieces, nephews, cousins and friends. Janina was a devout Catholic and found peace in the Lord and Virgin Mary especially during her last days. She was proud of her family, and a loving, cheerful, and patient Mama and grandmother whose infectious laughter and hugs and kisses will be missed. She will forever be our Babcia. Visitation hours are 4:00-7:00pm, Friday, August 17, at Nowak Funeral & Cremation Services, 15 Ludlow Ave., Indian Orchard. A Mass of Christian Burial in Polish will be celebrated at Immaculate Conception Church, 25 Parker Street, Indian Orchard, at 10:30am on Saturday, August 18 (relatives and friends may gather at the funeral home at 9:30am). Interment will follow at St. Aloysius Cemetery, 1273 Berkshire Avenue, Indian Orchard. In lieu of flowers, please make gifts in Janina’s name to Immaculate Conception Church. For additional information, please visit www.nowakfuneral.com.